The long queues of people hoping to view the body of Nelson Mandela. Hundreds of South Africans pushed through police lines in a last-ditch bid to see Nelson Mandela lying in state in the capital Pretoria. They were hoping to be the last of some 50,000 people to pass through the Union Buildings on Friday, where the former president’s body had lain. Officials say at least 100,000 people visited the venue over three days to pay their respects. Mr. Mandela’s coffin was taken from the building shortly after doors closed. The coffin was escorted by a guard of honour to a waiting hearse as military helicopters circled over the city. The body remained in Pretoria overnight, and there was a ceremony at a local air force base on Saturday morning to allow members of the governing African National Congress to say a last farewell, reported the BBC’s Peter Biles. The coffin was then flown to the Eastern Cape ahead of the burial at Mr. Mandela’s ancestral home in Qunu on Sunday. The funeral marked the end of a period of commemorations in South Africa since the 95-year-old’s death on December 5th. “The third day closed with over 50,000 paying their respects to our national icon and first democratically elected President of our country,” the South African government said in a statement. Shortly before the lying in state came to an end on Dec. 13, hundreds of people towards the front of the queue pushed through in the hope to be one of the last through the door. Many people waited in the line for 11 hours for the chance to see Nelson Mandela’s body. Some were angry more time had not been allowed for this ceremony; others said even if they could not reach his coffin for a personal farewell it was enough simply to be there. MONTEVIDEO | Uruguay became the first country to legalize the growing, sale and smoking of marijuana on Tuesday [Dec. 10], a move that will be closely watched by other nations debating drug liberalization. A government-sponsored bill approved by 16-13 votes in the Senate provides for regulation of the cultivation, distribution and consumption of marijuana and is aimed at wresting the business from criminals in the small South American nation. Cannabis consumers will be able to buy a maximum of 40 grams (1.4 ounces) each month from licensed pharmacies as long as they are Uruguayan residents over the age of 18 and registered on a government database that will monitor their monthly purchases. When the law is implemented in 120 days, Uruguayans will be able to grow six marijuana plants in their homes a year, or as much as 480 grams (about 17 ounces), and form smoking clubs of 15 to 45 members that can grow up to 99 plants per year. Registered drug users should be able to start buying marijuana over the counter from licensed pharmacies in April. “We begin a new experience in April. It involves a big cultural change that focuses on public health and the fight against drug trafficking,” Uruguay’s first lady, Senator LucÃ­a Topolansky, told Reuters. The bill gives authorities 120 days to set up a drug control board that will regulate cultivation standards, fix the price and monitor consumption. [Currently] the use of marijuana is legal in Uruguay, a country of 3.3 million that is one of the most liberal in Latin America, but cultivation and sale of the drug are not. Uruguay’s leftist president, Jose Mujica, defends his initiative as a bid to regulate and tax a market that already exists but is run by criminals. “We’ve given this market as a gift to the drug traffickers and that is more destructive socially than the drug itself, because it rots the whole of society,” the 78-year-old former guerrilla fighter told Argentine news agency Telam. Uruguay is one of the safest Latin American countries with little of the drug violence or other violence seen in countries such as Colombia and Mexico. …Narcotics trafficking has turned Uruguay into a transit route for Paraguayan marijuana and Bolivian cocaine. Even though it passed the Senate, the legislation faces fierce opposition from conservatives and Mujica has yet to convince a majority of Uruguayans that it is a good idea. According to a recent opinion poll… 58 percent of Uruguayans oppose legalizing pot, although that is down from 68 percent in a previous survey in June. OTTAWA | Canada’s government-owned postal agency said Wednesday it will eliminate home mail delivery over the next five years and cut its workforce by as many as 8,000 positions in an attempt to reverse annual losses that could hit 1 billion Canadian dollars (US$943 million) by the end of the decade. Ottawa-based Canada Post Corp. is one of many postal agencies in the developed world grappling with heavy financial losses as people abandon traditional letter-mail for electronic communications. But its proposed changes – notably phasing out home delivery entirely – are among the most far-reaching. “It’s unprecedented,” said Don Soifer, executive director of the Washington-based Consumer Postal Council, which analyzes the quality of postal service around the world. Mr. Soifer, along with others who have studied postal-agency overhauls around the world, said he wasn’t aware of any other developed country that had no door-to-door delivery. About a third of Canadians still receive home mail delivery, mostly in urban areas. The rest get their mail at shared community mailboxes. 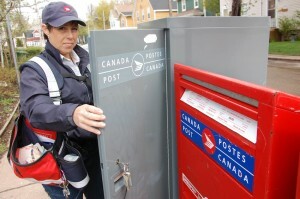 Canada Post said it would convert all households to the community mailbox system over a five-year period. A representative for Lisa Raitt, the Canadian government minister responsible for Canada Post, said the government supports the mail agency’s restructuring efforts, as its goal is to “protect” taxpayers. Canada Post said it expects to extract annual savings of as much as C$900 million once the measures are fully implemented. 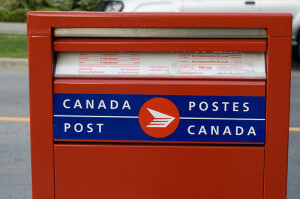 “If left unchecked, continued losses would soon jeopardize Canada Post’s financial self-sufficiency and become a significant burden on taxpayers and customers,” it said in a statement. The postal service said in its 2012 annual report that the volume of mail it handles has plunged by nearly 25% per household since 2008, with the decline accelerating last year. The restructuring will allow it to focus more resources on parcel delivery, which is increasing because of the popularity of online shopping. The planned moves drew criticism from business associations and organized labor. The lobby group for Canada’s small and midsize businesses said it was alarmed by the steep rise in stamp prices. “This is not the way to rescue a failing government entity,” said Dan Kelly, president of the Canadian Federation of Independent Business, adding Canada Post should be more aggressive in reducing labor costs. Unionized Canada Post employees earn about C$19 to C$25 an hour, plus benefits. The union said it represents 54,000 Canada Post employees. The postal service is aiming for the elimination of as many as 8,000 jobs, although it said it believes this can be accomplished through attrition as 15,000 workers are set to either retire or leave over the next five years. In a separate but related announcement, Canada’s Finance Department said it would grant the postal agency a four-year exemption from making special payments to its pension plan, which faces a deficit of C$6.5 billion. b) What was the significance of Nelson Mandela’s presidency? b) What will Uruguay’s law allow citizens to do? Be specific. c) Why did the government pass this law? 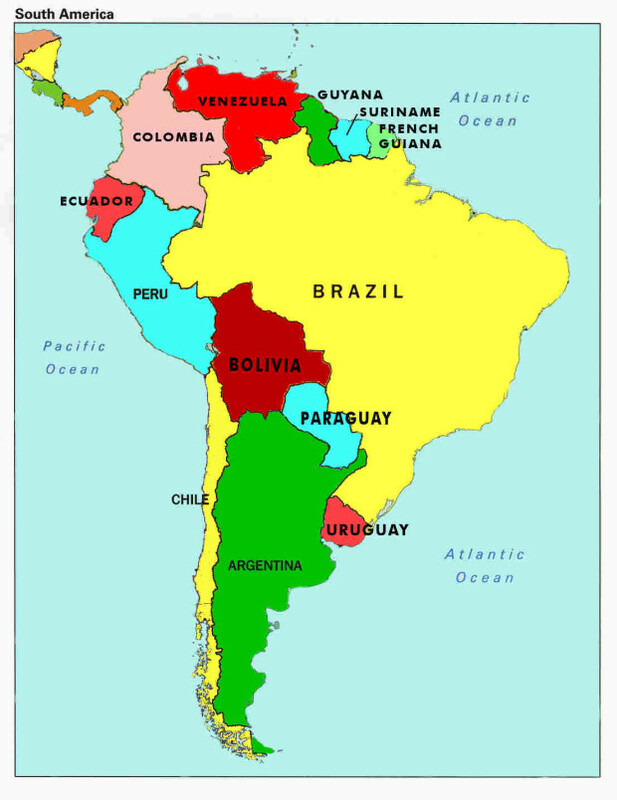 d) Reuters reports: “Uruguay is one of the safest Latin American countries with little of the drug violence or other violence seen in countries such as Colombia and Mexico.” What do you think: Will legalizing marijuana increase violent crime, decrease it, or will it stay the same? Explain your answer. e) Opponents say government sponsoring the consumption of marijuana, and legalizing it this way will increase consumption among Uruguay’s citizens. What do you think? b) Canada Post faces a $6.5 billion pension (retirement) fund shortfall. Ask a parent how he/she thinks Canada’s postal service, and in turn the U.S. Postal Service, which faces similar problems with its pensions, should handle the crushing deficit. Nelson Mandela died at his home in Houghton, Johannesburg on Thursday, December 5, at the age of 95. The official memorial service was held at the FNB Stadium in Soweto on Tuesday, Dec. 10, and was attended by 100 current and former heads of state and government. Chief mourners among the Madiba clan and Mandela family, as well as senior government officials, accompanied the body as it traveled from Pretoria to the Eastern Cape. A military guard of honor greeted the arrival in Mthatha, and the coffin was placed on a gun carriage and transported to a hearse. 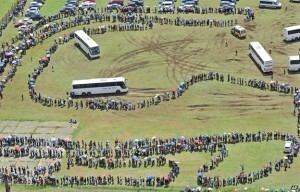 Local people formed a ‘human chain’ between Mthatha and Qunu as the procession passed. Once in Qunu, the Thembu community conducted a traditional ceremony. Critics of the law say legalization will not only increase consumption but open the door to the use of harder drugs than marijuana, which according to government statistics is used by 8 percent of Uruguayans on a regular basis. “Competing with drug traffickers by offering marijuana at a lower price will just increase the market for a drug that has negative effects on public health,” said Senator Alfredo Solari of the conservative Colorado Party. If it works, the legislation is expected to fuel momentum for wider legalization of marijuana elsewhere, including the United States and in Europe. Decriminalization of all drug possession by Portugal in 2001 is held up as a success for reducing drug violence while not increasing drug use. Several countries such as Canada, the Netherlands and Israel have legal programs for growing medical cannabis but do not allow cultivation of marijuana for recreational use. The postal system was founded in 1753 by Benjamin Franklin when both Canada and the thirteen colonies were under British rule. The service has long offered five-day-a-week delivery, and since the mid-1980s, all new residential developments have been served with the communal, or as they were originally called, super mailboxes. The U.S. Postal Service recently raised the price of sending a first-class letter by 6%, or above the rate of inflation, and consolidated operations to deal with seven straight years of bottom-line losses, which hit $5 billion in fiscal 2013. Rep. Darrell Issa (R., Calif.) has proposed axing door-to-door service in the U.S. as part of a cost-saving move and putting the U.S. Postal Service on firmer financial footing, but the initiative has failed to gain traction in Congress. Canada Post delivers close to 10 billion letters and parcels each year but has seen a 24% drop in letters delivered since 2008. But the agency says it will also open more retail locations across Canada. Direct to the home delivery will be replaced by community post boxes installed throughout residential areas, Canada Post said in its plan. In all, the plan will return the agency to financial sustainability by 2019, Canada Post said in a report, citing annual savings of up to C$900m.